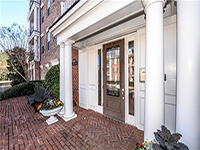 Chatham Realty Group is a luxury-focused, technology, and marketing driven residential brokerage firm focused on providing the best real estate experience possible to our valued clients. Our executive team, agents and support staff are selected from the best in the industry. Our firm is dedicated to provide exceptional service while conducting ourselves with the utmost honesty and integrity. At Chatham Realty Group you will experience the difference that we can offer based on generations of expertise in the Atlanta market. We look forward to the opportunity to work with you. OUR AVAILABLE PROPERTIES INCLUDE ALL PRICE RANGES TO FIT EVERY BUDGET AND SEVERAL ATLANTA LOCATIONS. Buckhead is an affluent uptown district of Atlanta, Fulton County, Georgia, comprising approximately the northern fifth of the city. Buckhead is a major commercial and financial center of the Southeast, and it is the third-largest business district in Atlanta, behind Downtown and Midtown. The district's highrise office buildings, hotels, and condominiums form a highly urbanized core along Peachtree Road. Surrounding this dense core are Buckhead's residential neighborhoods, which feature large single-family homes situated among dense forests and rolling hills. Midtown is the second largest business district in the city of Atlanta, situated between the commercial and financial districts of Downtown to the south and Buckhead to the north. Midtown is marked by its cultural attractions, institutions of higher education, noteworthy architecture, and urban layout. Sandy Springs is a suburban city in northern Fulton County, Georgia, United States, and part of the Atlanta metropolitan area, north of Atlanta. The boundaries of Sandy Springs are Atlanta to the south, Cobb County (at the Chattahoochee River) to the west and north, Roswell (also at the river) to the north, and Dunwoody and Brookhaven, at the DeKalb County line, to the east. A small panhandle in the northeast extends between the Chattahoochee River to the north and Dunwoody to the south, ending in a very small border with Peachtree Corners in Gwinnett County. Marietta is located in central Cobb County, Georgia and is the county's seat and largest city. Marietta is located near the center of Cobb County, between Kennesaw to the northwest and Smyrna to the southeast. U.S. Route 41 and State Route 3 run through the city northeast of downtown as Cobb Parkway, and Interstate 75 runs parallel to it through the eastern part of Marietta, with access from exits 261, 263, 265, and 267. Downtown Atlanta is 20 miles (32 km) to the southeast, and Cartersville is 24 miles (39 km) to the northwest. Brookhaven is a city in the northeastern suburbs of Atlanta. Home to about 51,029, it is located in western DeKalb County, Georgia, United States, directly northeast of Atlanta. Neighborhoods and districts include Historic Brookhaven, Brookhaven Village, Lynwood Park, Peachtree Road, North Brookhaven, Buford Highway and Lenox Park. Local residents and real estate agents use West Cobb as their phrase for the portion of Cobb County West of Interstates I-75 and I-575. This portion of Cobb County is bounded by Bartow County and Cherokee County to the north, Paulding County to the west and Douglas County to the south. The cities of West Cobb are Marietta, Acworth, Kennesaw, Powder Springs, Austell, Smyrna and Vinings. After decades of restoration and renewal, Inman Park is now regarded as a highly desirable intown neighborhood. Built up as it was over decades, the neighborhood housing now ranges from tiny mill town shotguns to the Victorian mansions of the original development, intermixed with bungalows of all sizes built during the first three decades of the 20th century. Since the beginning of its renewal, inclusivity and a strong sense of community have distinguished Inman Park. The Inman Park Festival, which attracts tens of thousands of visitors every spring, brings residents together to produce the largest all-volunteer festival in Georgia. The Festival's centerpiece is the Tour of Homes, which showcases the wide variety of sizes and types of residences in the neighborhood. Morningside/Lenox Park is a neighborhood in Atlanta, Georgia founded in 1923. It is located north of Virginia-Highland, east of Ansley Park and west of Druid Hills. 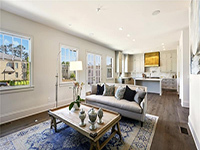 Approximately 3,500 households comprise the neighborhood that includes the original subdivisions of Morningside, Lenox Park, University Park, Noble Park, Johnson Estates and Hylan Park. Roswell is located in northern Fulton County. It is bordered to the north by Milton, to the northeast by Alpharetta, to the east by Johns Creek, to the southeast by Peachtree Corners in Gwinnett County, to the south by Sandy Springs, to the west by unincorporated land in Cobb County, and to the northwest by the city of Mountain Park and by unincorporated land in Cherokee County. The southern boundary of the city follows the Chattahoochee River. 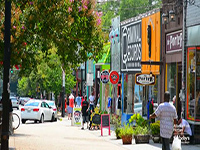 Smyrna is part of the Atlanta metropolitan area, located about 1 mile (1.6 km) northwest of the Atlanta city limits, and with Smyrna's downtown about 10 miles (16 km) from downtown Atlanta. Smyrna is located just west of the northern intersection of I-285 and I-75, which is the site of Cumberland and the Cobb Galleria. Smyrna is also near Vinings, Marietta, Mableton, Sandy Springs and the Buckhead district of Atlanta. Vinings is a census-designated place and an unincorporated town in Cobb County, Georgia, just across the Chattahoochee River from Atlanta. A part of the Vinings, Smyrna, Cumberland (VSC) area, it is located between the affluent West Paces Ferry section of Buckhead in northwest Atlanta, and suburban Smyrna in Cobb County, adjacent to the Cumberland edge city. The U.S. Postal Service assigns both “Atlanta” and “Vinings” to the ZIP code (30339) that includes Vinings. Virginia–Highland (often nicknamed "VaHi") is an affluent neighborhood of Atlanta, Georgia, founded in the early 20th century as a streetcar suburb. It is named after the intersection of Virginia Avenue and North Highland Avenue, the heart of a busy commercial district at the center of the neighborhood. The neighborhood is famous for its bungalows and other historic houses from the 1910s to the 1930s. It has become a destination for people across Atlanta with its eclectic mix of restaurants, bars, and shops and for the Summerfest festival, annual Tour of Homes and other events. In 2011 readers of Creative Loafing voted Virginia–Highland "Best Overall Neighborhood." 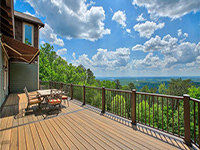 In June 2011, Atlanta Magazine designated Virginia Highland "favorite neighborhood overall". In 2012 readers of Creative Loafing voted VaHi "Best Walkable Neighborhood". Alpharetta is located in northern Fulton County. It is bordered to the southeast by Johns Creek, to the south and west by Roswell, to the north by Milton, and to the northeast by unincorporated land in Forsyth County. Downtown Alpharetta is 26 miles (42 km) north of downtown Atlanta. Dunwoody lies at the northern tip of DeKalb County, bounded by the Fulton County line on the north and west, Interstate 285 on the south, Peachtree Industrial Boulevard on the southeast, and the Gwinnett County line on the northeast. Cartersville is located in south-central Bartow County, 42 miles (68 km) northwest of downtown Atlanta and 76 miles (122 km) southeast of Chattanooga, Tennessee. The Etowah River flows through a broad valley south of the downtown, leading west to Rome, where it forms the Coosa River, a tributary of the Alabama River. The city limits extend eastward, upriver, as far as Allatoona Dam, which forms Lake Allatoona, a large U.S. Army Corps of Engineers reservoir. Red Top Mountain State Park sits on a peninsula in the lake, just outside the city limits. Nancy Creek also flows in the vicinity. The highest point in the city is 1,562 feet (476 m) at the summit of Pine Mountain. 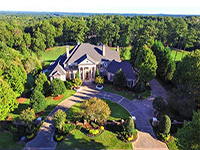 Chatham Realty Group connects buyers and sellers in metro Atlanta and north Georgia through expert marketing, strategic advertising and top notch customer service.